First impressions are important and the same holds true when you are showcasing your home for a potential sale. While larger home improvement projects are often necessary to catch the eye of someone in the market for a new home, they require a great deal of time and money. Sometimes simple cleaning and organization is all that is needed for your home to become more appealing to potential buyers. Begin by de-cluttering your home. By removing personal items that might distract prospective buyers, you'll help them focus on how they think the home might look when they move in. You don't want buyers to focus on possessions that you'll be taking with you when you move. When showing your home to others, it's best to set your personal tastes aside by decorating in a way that will appeal to a broad range of people. Think about replacing strong patterns with solid colors on items like bedding, carpets and drapes. It might also be a good call to store that dramatic piece of art somewhere out of sight. You can show it off again when you move into your new house. Many potential buyers will make decisions on which homes they would like to look at by looking at photos posted online. Do whatever you can to make your home sparkle in the images you and your real estate agent select for your listing. Focus on glass and metal surfaces that will add shine to your photos. For other bathroom surfaces, a bath scrubber like Mr. Clean Magic Eraser Bath Scrubber should be used to remove easy-to-spot and unappealing grime and scum from bathtubs and showers. Thoroughly cleaning these surfaces in bathrooms and kitchens can make your home look fresher and newer. While it's important to keep the entire home spotless, there are two rooms in particular that require special attention: the kitchen and the bathroom. In a recent survey, Mr. Clean asked consumers which room they would clean first if moving into a new home. Of the more than 1,000 participants, an impressive 41 percent responded the kitchen and 38 percent said the bathroom. When selling your home, it is always important to make the extra effort in these two rooms; you'll never know if it will be a make or break a deal. Whether they know it or not, people entering your home will notice more than just appearances. Attractive scents can create good feelings. Candles, diffusers, potpourri and cookies all offer inviting and familiar aromas. Use a cleaner with a pleasant scent to keep your home smelling fresh. Eliminate any small imperfections that might cause uneasiness with potential buyers by replacing broken light bulbs, fixing loose doorknobs or getting your closet door moving smoothly on it tracks. Even something as minor as a little mess in the microwave could turn off a prospective renter or buyer, so make sure every place you can think of is squeaky clean. Since first impressions are so important, having your home properly cleaned and staged will help you make a sale or rental more quickly and net the price you deserve. Are lower real estate values keeping you in your current home - even though you were hoping to upgrade? Or, maybe you can't bear the thought of boxing up all your belongings to move? You're not alone. More homeowners are staying in their current homes, but remodeling with the idea of improving their quality of life and adding more "live-in value," according to recent research from Consumer Reports. No matter what your reason for staying put, rest assured; you don't have to move to get the home of your dreams ... just make a few home improvements. Today's kitchens are no longer a place to simply cook and eat. Your kitchen is the "real" living room - for living, working and entertaining - and the ideal room to improve for added enjoyment. One project to improve your home and "live-in value" is installing a multilevel kitchen island. Not only does this provide an extra work area, but also an informal place for entertaining guests. Central island cooktops and sinks are another option, keeping cooking and clean-up areas within easy reach. Tying the overall look of the kitchen together will also help to make a style statement you can live with for years to come. Upgrading to stainless steel appliances is a common choice, especially with the latest technologies - such as built-in flat screen televisions or computers on refrigerators - all with a beautiful high-end finish. Just think of how much time you spend at the sink, from rinsing fruits and vegetables to filling pots and washing hands and dishes. So why not update this kitchen focal point with a new functional and fashionable faucet? High-arc models with pullout spouts are the most ideal since they allow ample room to fill or clean large pots and pans. Models with multifunction sprays are helpful when washing delicate fruits. Once you've found a model with these useful features, don't forget about style. Designer finishes, such as stainless steel will give your kitchen a professional look. And, for a designer look that maintains the beauty and brilliance of the faucet's finish in between cleanings, try Moen's Renzo pullout kitchen faucet with Spot Resist Stainless finish. This unique finish does just what it says - resists fingerprints and water spots. Moen's Renzo kitchen faucet is available at Lowe's. No matter the square footage of your home, accumulating belongings over the years contributes to a lack of storage space. Try to solve this issue by first purging items that you haven't used within the past six months. Next, you can organize your necessities with a variety of storage systems - from drawer organizers to storage bins. And, if it seems like a task that you can't handle on your own, hire a company that specializes in organization, such as Closet World, to create a custom-designed solution. Today's baths have evolved from a task-oriented room to become a private spa. Luckily it's simple to turn your bath into a private sanctuary. To start, update your current showerhead with a more luxurious and functional design. If you prefer a powerful, full-body spray, perhaps you'd like a rainshower showerhead. Or, if you like options, try a multi-function version that allows you to switch from a relaxing wide spray to an invigorating concentrated spray - or somewhere in the middle. You can find a variety of designs and finishes at your local home improvement store, such as Lowe's. And, as in the kitchen, the faucet is a focal point in the small space. Update your current faucet with a new designer style and finish ... and with water-saving benefits. Faucets account for approximately 15 percent of indoor household water use - more than 1 trillion gallons across the U.S. each year - so once you've found the perfect look, be sure that you choose one that is certified to meet WaterSense criteria. With these few home improvements you can start recouping your "live-in value" and make your current residence a home sweet home. According to the Texas Realtor magazine, foreclosure sales are not as big a market in Texas as in most other states. Fifty-seven percent of homes sold in Nevada in 2010 were foreclosure sales, while Arizona hit the 50% mark, according to RealtyTrac. By comparison, foreclosure sales represented 13% of sales. Nationally, the share of foreclosure sales was 26% The average foreclosure sales price in the Lone Star state was $142,049, which is 27% lover than the average non-foreclosure price. Even in states with the highest percentages of foreclosure sales, the numbers are lower than the two previous years. Are you or someone you know considering a home purchase? Contact the Grove Team, (817) 337-0000. Our team's experience and customer service is unsurpassed when it comes to working with you, your family, and your friends. Existing home sales in Texas trended upward over the last six months, as the housing market begins to show signs of recovery. The average amount of homes sales over the last six months increased in every Texas major metropolitan area in January for the first time since the expiration of the homebuyer tax credit, according to a report by The Federal Reserve Bank of Dallas. Thursday's report also showed that the six-month average for the whole state improved during the month as well. Yingda Bi and Jason Saving, the authors of the report, said this alone suggests the residential real estate market "may have finally begun recovery," but other housing indicators also improved in January. According to the Fed's report, all major metros witnessed declines in housing inventory. To sell all housing inventory in the Lone Star State would take 7.7 months as of January, down from eight months in December, the Fed said. The serious delinquency rate, anything more than 90 days delinquent, dropped on a seasonally adjusted basis to 2.9% in the fourth quarter of 2010 from 3.4% the previous quarter. The Foreclosure Listing Service reported that year-to-date postings for foreclosure auctions in the Dallas/Fort Worth metroplex decreased for the first time in 11 years. Postings for the January to April auctions fell 4% compared to the same period of 2010. "Over the past year, posting activity for this four-month period declined to 21,387 for the first four foreclosure auctions of this year, which includes January through the upcoming auctions in April," said George Roddy, president of FLS. "Last year, foreclosure notices for the first four auctions of the year reached a new record high with 22,305 postings." The last time there was a decline in year-to-date foreclosure auction postings during this period was 2000, according to Roddy. However, underwater properties made up a larger portion of postings than in past months, up to 27% in April 2011 from 21% in April 2010. Bi and Saving at the Fed remain cautious on the whole, as home prices will also be a large factor in market recovery. "New data from the Federal Housing Finance Agency housing price index show slight declines in fourth-quarter housing prices from both the third quarter and year-over-year," their report said. A special thank you to Sandy Shetty, Sr. Loan Officer with Benchmark Mortgage for her assistance with this new information on our housing market. For more information on pre-qualifying for a home loan, contact Sandy direct (817) 966-9446. For all needs real estate, contact us on the Grove Team, (817) 337-0000. Find us online, www.groveteam.com, follow us on Facebook and Twitter! What happens if you fall behind on a mortgage payment? Every month, your mortgage company or servicer has an obligation to pay the owner or investor of your home loan. When you don’t pay your loan, the note still has the obligation on your behalf. Often the mortgage company or servicer will charge fees for past-due or missed payments to make up the cost of paying the obligations. Late or missed payments can have a negative effect on your credit rating, which may make it more difficult for you to get credit cards and loans in the future. You also may have to pay a higher interest rate on loans and credit cards you do get. Your mortgage company or loan servicer has an obligation to report past due or missed payments to credit bureaus. Reports to major credit bureaus are submitted every month. When payments are made on time, this monthly reporting has the advantage of building a positive credit history. Timely payment of your mortgage has the greatest impact – positive or negative – on your credit history. Are you a homeowner and have had some challenges with meeting your mortgage note? Before you decide to walk away to foreclosure, know there ARE options. The Grove Team is experienced in assisting homeowners in distressed situations. We have extensive training working with mortgage companies and walking homeowners through a short sale process. Contact us direct for more information on how the Grove Team can help. Reach us direct, (817) 337-0000 or find us online, www.groveteam.com. When interviewing agents it is important to understand the services they offer and how they help you. These questions are designed to help you select the right agent or team of agents with a strong marketing strategy that will get your property SOLD! Below are questions to have on hand when working through the interview process and the answers you will receive when talking to the Grove Team. 1. Do you work as a full-time Realtor®? Yes, most team members are full time, licensed Realtors. 2. What aspect of the market do you specialize? We specialize in residential and relocation real estate. 3. Do you have a written marketing plan specifically designed to sell my property? Yes, our plan is covered in detail in our "Marketing" section. 4. How often do you market properties directly to buyers? Our virtual marketing program markets your property 24 hours a day, 7 days a week. Additionally, we respond to all sign and ad calls personally. We know and are committed to getting your home sold. 5. How many properties did you sell in 2010? The Grove Team sold 81 homes in 2010 and is on track to sell over 100 in 2011. 6. What is your system for contacting me after you list the property? In addition to automatic showing notifications and reports and regular website reports sent via email, you will receive a weekly personal phone call from our listing team. 7. How do you find potential buyers? There are several aspects to our marketing. We prospect daily for buyers through our extensive Internet presence, consistent direct mail program, and personal phone calls. We target real estate agents that specialize in selling homes in your neighborhood. We also access other Realtors’ buyers through our membership in the local and National Board of Realtors and our multiple listing service affiliations. We target buyers and investors in our database that are looking for homes in your price range and area. 8. What stealth marketing techniques will you use to get my property sold? The Grove Team hires a professional stager to give our clients an advantage over their competition. Additionally, we monitor the market place and refer professional contractors when needed. Are you ready to put your home on the market? Contact the Grove Team direct, (817) 337-0000 or find us online, www.groveteam.com to schedule an appointment with our Listings Team today! For more information on the North Texas Expressway Project and lane closures, visit the Grove Team blog for update. 1) HURST SHOULDER CLOSURE: The right shoulder of westbound SH 183 from Hurstview Dr to Precinct Line Rd will be closed. 2) HURST FRONTAGE ROAD:The east and westbound frontage road of SH 183 from Hurstview Dr to Precinct Line Rd will have the right lane closed. 3) HURST SHOULDER CLOSURE: The right shoulder of the eastbound on-ramp at Precinct Line Rd will be closed. Considering buying or selling soon? For the most up to date information on your neighborhood, reach us direct, (817) 337-0000. Like tracking your home's value. As real estate professionals, we monitor the critical information that affects your area's home values. Are you curious about your neighborhood value or thinking about making a move? As local market area experts, we would be happy to provide you and your family with updates on the most recent activity in your neighborhood. Don't have a home to sell? That is okay too - we can provide you with a market report on the neighborhoods you are interested in! All of our reports and summaries are FREE, with no obligation. Call us, (817) 337-0000 or visit us online www.groveteam.com. a. We make changes to our home with the intention of increasing its value – ROI !! b. Are you sure you are covered for the additional value (i.e. room addition, wood flooring) or potential hazards (i.e. pool)? a. Price of Diamonds, Gold, Silver have gone up drastically in the past couple years. b. If you are a newlywed, make sure you’ve added a jewelry floater to your homeowners policy for your wedding ring. That way if you lose it, you can be reimbursed so you can replace it! c. If you have been married awhile, you might be surprise at the DRASTIC increase in value of your ring, jewelry. Get a current appraisal and make sure you are insuring your valuable jewelry for what its worth! a. If something were to happen to you would your spouse and children be prepared to take on the additional financial obligations? b. Andy Fuller (AF Insurance Agent/Owner) is a product of life insurance. He lost his father when he was 4. His childhood and college was assisted by a life insurance policy. c. How much life insurance do you need? I can provide you with a worksheet that helps to determine the appropriate amount of Life Insurance for your family. a. Put your teenager on your auto policy. Rather than setting up an independent policy for your teen driver, put them on your auto insurance policy as an additional driver. In this way, all the discounts applied to your policies will be passed on to them. b. Pay your teenager to get good grades. Here's a creative tip — find out how much you save if your teenager gets a good grade point average and pass it on to them. For questions on any of the above, please feel free to contact me! The economy is moving again - and so are Americans. About 38 million people moved to new locations, according to the U.S. Census Bureau. Warm weather locales seem to be top-of-mind these days. * For long-distance moves, a moving truck is a must. But even if you're just moving across town, renting a moving truck makes sense. Making multiple trips can be exhausting - not to mention the gas you'll use and the greenhouse gases your vehicle will emit on multiple trips. Reserve your truck at least two weeks in advance of moving day - Penske guarantees a truck for every reservation. A 12- or 16-foot truck works for moving a few large items or the contents of a small condo or apartment. For guidance on larger moves and which truck to choose, visit www.PenskeTruckRental.com. * Pack in increments. Start early to avoid the stress of last-minute rushing. It's OK to leave a box open in case you need something you've packed inside it; it's much easier to tape a box shut on moving day than it is to pack at the last moment. * Buy sturdy boxes in a variety of sizes, along with foam and bubble wrap to protect fragile items. You'll also need a good supply of packing tape and markers for sealing boxes. * Make sure you have moving blankets and hand trucks on moving day to make the process easier. * Purge before packing. It's much easier to throw away, donate, sell or give away items that you don't need than it is to pack them and move them. As a rule of thumb, if you haven't used something in the past 12 months - or it's still packed in a box from the last time you moved - you can probably get rid of it. * Label boxes as you pack. First, list the room that the contents belong in, and, if necessary, a few details such as "glass," "fragile" or "dishes." As you load the truck, try to keep boxes from each room grouped together. * Load the heaviest items onto the truck first to create a sturdy base, then start stacking on top. * Moving trucks are taller, wider and heavier than the passenger vehicles you are used to driving. They require more distance to stop. Be extra careful driving your moving truck, especially after it's loaded. Be aware of low-hanging tree branches and building overhangs, and use caution when cornering. Park only in well-lit areas and keep the rear door padlocked and the passenger compartment doors locked. Finally, create a travel bag for moving day and keep important paperwork, credit cards, identification, a change of clothes, beverages and snacks close at hand. You can find more moving tips at www.PenskeTruckRental.com. For more information on moving, buying or selling real estate contact the Grove Team, (817) 337-0000 or find us online, www.groveteam.com. (ARA) - After a long, hard winter across most of the country, people are looking forward to the rites of spring. And one of those cherished activities is the great American remodeling project. Joe the Pro (Joe Sainz), a building expert with Bosch Power Tools and Accessories, suggests five DIY projects to add to your to-do list that will help improve the beauty of your home. * Update flooring: If you just bought a home or you're looking to update your current floor, you may face the task of removing old linoleum. To tackle the job, consider an oscillating multi-tool that includes a scraping blade accessory. Use the oscillating tool to scrape linoleum from the subfloor; use your free hand to peel back the old floor covering. Try to collect large strips. * Add remodeling electrical boxes: The home theater room is a great place to gather the family. For a professional look with telecom or media wiring, outline and cut holes for remodeling boxes that can be placed in cabinets or walls and finished with an appropriate trim plate. To avoid studs, use a hammer to tap lightly on a wall to locate hollow areas between wall supports or use a high-quality stud finder. * Remove trim, baseboards or molding: Removal of trim is a tough job if you want to save it for future use. The oscillating tool does a nice job removing caulk and old adhesive, then allows the user to slide a blade accessory between the trim and the wall to cut nails and remove trim intact. * Replace broken tile: Broken tiles happen - in foyers, kitchens and bathrooms. Spring is a great time to finally remove these long-broken pieces to have complete, perfect alignment again. Use a grout saw to remove grout from around the chipped tile. From there, you can use a pry bar or chisel to remove the old tile. If you can't remove it as a whole piece, put a towel over the chipped tile and use a hammer to break it up. Remove the old adhesive to ensure the new tile can be placed level with adjoining tiles. Use a quality adhesive to place the new tile and apply grout, being careful to match the original grout's color and texture. * Repaint exterior trim: Now that the snow and cold temperatures have receded, it's time to clean up your window and door trim. Scrape and refurbish paint and stained surfaces, checking for any loose or missing nails, screws or splintered boards. In addition, use a power washer to remove dirt and debris from porches or concrete surfaces. Joe the Pro always advises professionals and DIYers alike to use eye protection and leather or construction-grade gloves. He also reminds experienced and novice builders to use quality tools and accessories for better results. You only want to do the job once, so make sure your first effort is your best effort. Considering some springs projects before putting your home on the market? Contact the Grove Team to discuss the best options for high impact, low cost updates. Reach us at the office, (817) 337-0000 or online www.groveteam.com. Change batteries in smoke alarms and carbon monoxide detectors! Sunday is the first day of Daylight Saving Time. 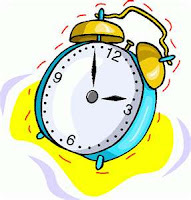 Remember to set your clocks forward one hour before you go to bed on Saturday night. Also, it’s important to change and test the batteries in your home’s smoke alarms and carbon monoxide detectors, which you should do at least twice a year, when the time changes. Home fires injure and kill thousands each year. You can help prevent these needless fire deaths and injuries by remembering this step when you change your clocks. Please be sure to remind your friends, family and neighbors to do the same. If you have questions regarding smoke alarms or carbon monoxide detectors, contact your local fire and rescue department. (ARA) - Ample inventory, low mortgage rates and motivated sellers - all these key elements are present in real estate markets across the country, indicating it's still a great time to buy a house. If you're thinking of buying a house - whether it's new or existing, your first home or your fifth - you can help ensure you get the best possible deal by doing a few things before you get down to serious shopping. You might think that getting pre-approved for a mortgage is your first step in home-shopping, and it is an important one. But before you talk to a potential lender, you should check your credit report and score - because the mortgage company certainly will. Your credit score is a reflection of your credit status, and one that potential lenders will consider when assessing your credit worthiness. Knowing your credit standing can make you better prepared to secure the best possible conditions and rates for a home loan. It's a good idea to monitor your credit for a while before making a move to apply for a mortgage. Websites like freecreditscore.com allow you to access your credit score when you enroll in credit monitoring. By monitoring your credit, you'll be able to see how changes in your credit report can affect your score, and you'll receive credit score alerts whenever your score changes. When it's time to apply for a mortgage, many people turn to the banks they're used to dealing with on a regular basis. While banks are definitely a familiar source of home financing, they're not the only one. Even after the mortgage crisis, you'll still find many companies in the home loan field. Wading through the plethora of claims from lending companies can be time consuming - but well worth it. Despite the credit crunch - or perhaps because of it - competition is fierce among lenders to work with the best-qualified buyers. That means if your credit score and report are good, you could be in a position to snag the loan terms and interest rates reserved for the most-desirable borrowers. But you'll still have to compare rates and offers from a number of companies. Be sure to thoroughly investigate any lender you're considering applying with; the Internet is a great resource. Check out the Better Business Bureau website to see if the lender has any complaints against them, and type the name into your search engine to see if they've made the news - in a good or bad way. It's true that many would-be homebuyers are now using the Internet to facilitate their search. Yet 79 percent of all buyers last year purchased their home through a real estate agent or broker, according to the National Association of Realtors. While it is possible to buy a home without the aid of a Realtor, working with one has several benefits. Realtors strive to be experts about the communities they work in, so a Realtor can provide you with valuable advice on home prices, schools, recreation and businesses, as well as other information about the area you're interested in. Another bonus - as a buyer, you pay the Realtor nothing. He or she will share a percentage of the commission the home sellers pay to their Realtor. Buying a house is a big investment - the biggest most people make in their lives - but with some preparation and smart negotiations, you can ensure you're well positioned to take advantage of the current buyers' market. Are you ready to dive into the market and start the home buying process? 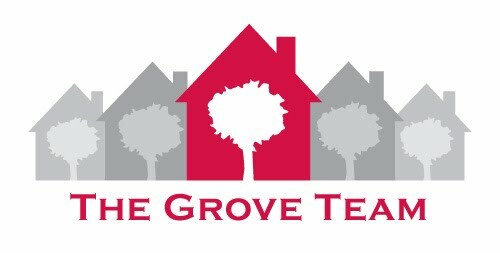 Contact the Grove Team direct, (817) 337-0000 or visit our website, www.groveteam.com to get the process started. Our team is dedicated to serving you through the home buying process. Anyone who's ever bought, sold or even just looked at a house can tell you first impressions matter. A house can be filled to the rafters with luxury touches, but if it lacks curb appeal, few potential buyers will ever step in the door to see what's inside. With real estate sales still sluggish across the country, curb appeal is taking on a new meaning for many homeowners. While an attractive home exterior can still boost potential resale value, homeowners are also looking at curb appeal as a way to enhance the enjoyment of their homes. Giving the exterior of their home a facelift not only makes the house stand out on the street, it also allows homeowners to "move up" without the expense of remodeling or moving. Fortunately, many curb appeal-enhancing projects can be cost-effective too, yielding significant improvements for a modest investment. "Projects can be inexpensive and simple while adding tremendous value and curb appeal," says Mark Clement, HGTVPro.com how-to expert and host of "MyFixItUpLife." * Make small improvements that have a big impact. Simple touches like repainting the front door, window trim and shutters, planting flowers, and switching outdated light fixtures can create a whole new look. Plus, these simple improvements have the advantage of being scalable. Instead of re-siding the entire house, you can freshen the facade by tackling smaller portions, such as a porch or garage. Later, if you want to continue the improvement, you can re-side other areas of the facade. * Choose materials that are durable and stylish. Skimping on materials may seem like a great way to save money, but you could end up spending more in the long run if you have to redo a job that was first done with lower quality materials. Purchase the best quality materials you can afford - not only will they look better than cheaper goods, they'll last longer and provide more enjoyment and value. * Dress up the exterior with accents. Adding touches like accents to gables, posts and beams, drain chains in place of downspouts or planter boxes made with beautiful, sustainable materials like Western Red Cedar is a great way to improve curb appeal while stretching your budget. Quality materials retain their beauty over time better than cheaper materials. * Illuminate. Light is a powerful accent, and, thanks to the availability of easy-to-install solar lights, you don't need to pay a professional to light your landscape. Solar lights - readily available in home improvement stores - provide decorative illumination to driveways, walkways and gardens. * Introduce shade. Arbors and trellises adorned with flowering vines are not only beautiful in warm months; they're a great way to add areas of shade to your landscape. They can even be used to block the scorching heat from the afternoon sun from parts of your home's interior. Building an arbor or trellis is well within the capabilities of most do-it-yourselfers. For free ideas and plans, visit www.wrcla.org. * Add a splash of color to your landscape with low-maintenance plantings that require little attention. As an added "green" step, consider plants that require less water, too. Your local home extension office can help you identify what types of plants will grow best in your region. * Think "green." Whenever possible, choose materials that are truly sustainable, like Western Red Cedar. Sustainable materials are ones that have been harvested and/or manufactured through methods designed to reduce their impact on the environment. "Natural, long-lasting materials, like real wood, return beauty, durability and value," Clement says. Thinking of listing your home this spring season? Call on the Grove Team, we can offer additional high impact, low cost updates to make your home show ready! 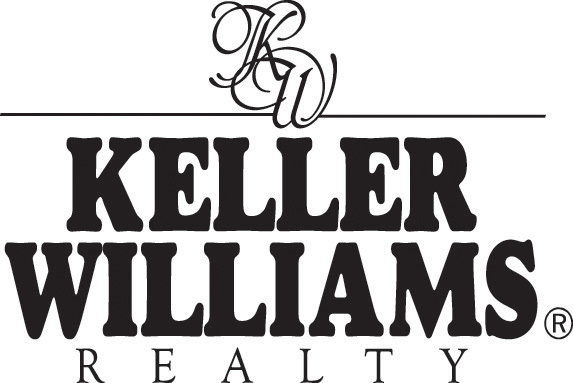 Do you need a Realtor when buying a house in Texas? Before beginning the process of purchasing a home in Texas it is important to know whom a broker represents. What is unique about Texas is we have Buyer Representation - by entering into a written agreement, a buyer's agent can assist the owner but does not represent the owner and must place the interest of the buyer first. As a buyer, choosing to be represented by a broker and their agent you are ensuring your interests are protected. The Grove Team has a dynamic team of buyer's agents - specially trained to assist in your home purchase. Members of our buyer’s team dedicate their inexhaustible energy to finding the right home in the desired timeframe. With knowledge that spans from the existing home market to builders and new construction, our proven professionals represent each buyer's individual interest. From establishing a buyer’s needs and searching for the right home, to negotiating in the buyer’s interest, their expertise allows them to manage the total buying process and reduce stress for our clients. News on FHA rates and premiums are on the rise is hitting the public today! Are you in the market for a new home and considering FHA financing? This could affect you after April 18th - these changes could affect your monthly payment and qualifying amounts. Now, more than ever it is important to partner with a lender that is familiar with this liquid market. For more information on these changes, how they could affect you and other loan programs available contact Sara Thomas, MetLife Home Loans. Are you or some you know in the market for a new home? Contact the Grove Team, (817) 337-0000. Our team of experienced agents is here to guide you step by step through the home buying process.